The Plant Tree is the original idea that started it all. With 24 different positions, the Plant Tree can be assembled in several set-ups to allow you to maximize your space to display your plants. 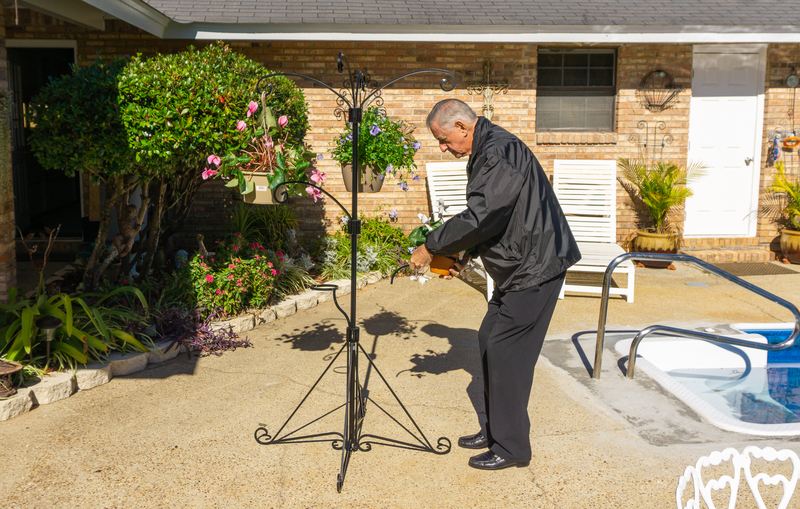 Our 3-Plant Bracket takes the patented design of the Plant Tree and brings it to any sturdy surface. Take any three limbs and create unique designs on your wall, fence or railing. The 3-in-1 Combo brings the Plant tree to your yard, deck, and even ceiling. 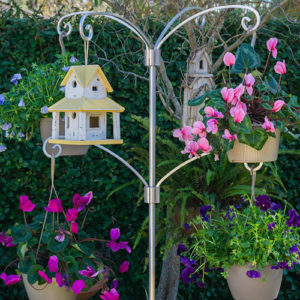 Now you can turn even the toughest terrain into a thriving garden. Discover more of our Plant Tree products here! The story of the Plant Tree is as unique as the Plant Tree itself. Starting from a simple request, the Plant Tree grew into a small company. Get more arms, legs, attachment options, watering systems and more with our full product line. Capable of placing the limbs in 24 different positions, the Plant Tree can be assembled in several set-ups, allowing maximization of space to display your plants. Each limb can safely hold 20 lbs. 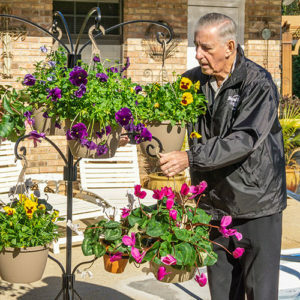 If you live in a condo or apartment building, you may be restricted to where you can put plants. Without the luxury of being able to place hanging brackets on the walls, floor space is a limited resource. Maybe you own your own home and have run out of space, or have nowhere to put your favorite plants when the seasons change. 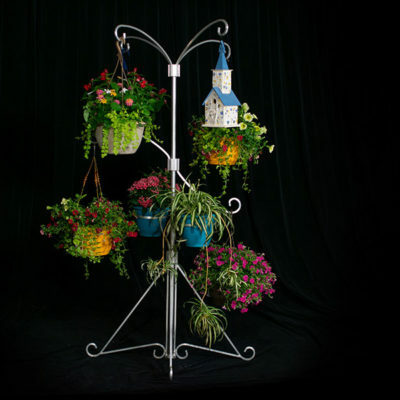 The Plant tree is a strong free-standing plant stand that can allow you to place your plants in 24 different positions, creating your own design. 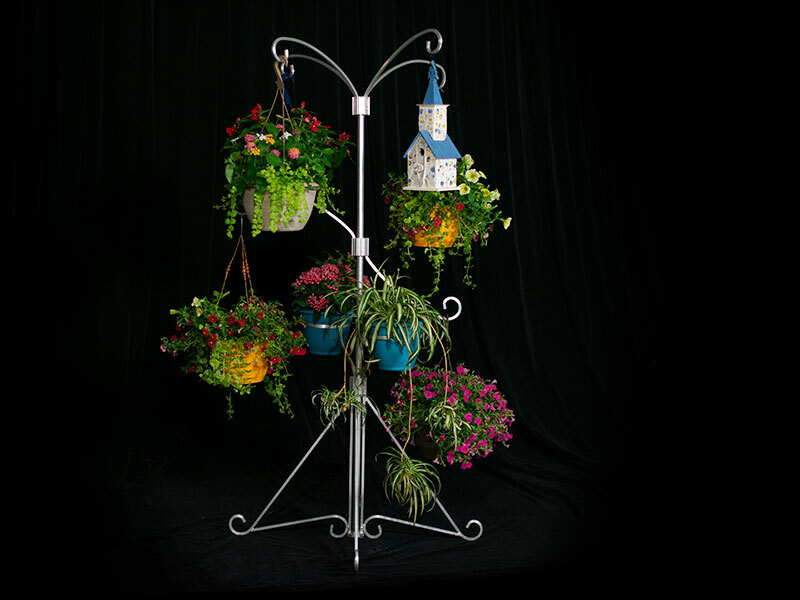 The Plant Tree has several variations of plant stands to fit your needs and let you continue to customize your look. 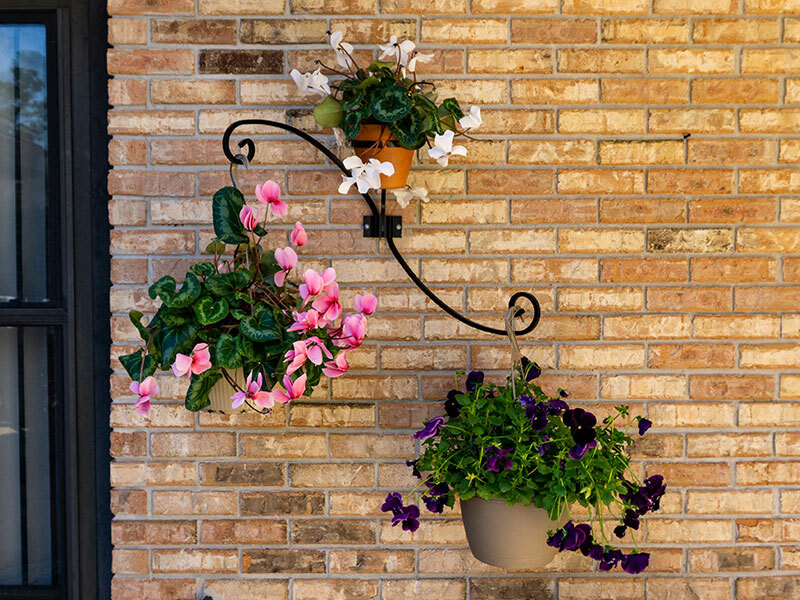 Discover all our wall mount options and see how you can hang your plants from a multitude of locations. Learn more about the Plant Tree and its inventor Ray Carney, and how the idea came to be. 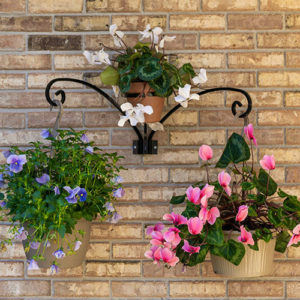 The 3-Plant Bracket Kit can be set up on any fence, railing or solid surface. Aluminum mount used to hold a 3"-9" Terra Cotta pot on any solid surface. The 3 in 1 Basic Kit comes with everything you need to set up your Plant Tree in the yard, deck or ceiling. Take control of your plant care and display with The Plant Tree. The Basic Kit comes with everything you need to get your Plant Tree set up.